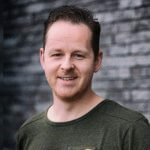 my name is Jeroen Peters, I’m a 33 year old Developer living in the Netherlands, in Hattem, which is in the Zwolle area. At the moment I develop a lot with PHP and Python. I love working with open source products and I also love creating new ones or to contribute to existing open source products. It all started when I learned HTML from another internet site. Lay-outs were still created with frames and tables, but hey.. I was on the internet! When I discovered and learned PHP everything changed and I worked some sidejobs. In this time I completed my HAVO education and went to study Economics. After one year (while completing the propedeuse), I switched to Mens & Informatica (Human-centered informatics). To complete the study I worked for my final internship at Yourhosting, to build a reseller-hosting platform for the future. The project succeeded and I completed university in december 2008. The first day of 2009, I was welcomed back to Yourhosting where I have now worked for more than 10 years in different roles (all development-related). Since 2015 I am Lead Developer of the Yourhosting Dev-team. Next to working I have done a lot of other interesting (and non-interesting) stuff, like building my own t-shirt shop to learn about SEO and site-speed. Back in those days CodeIgniter was all around, but I made something myself, which had involved into the Dutch t-shirt site QuoteShirts. Over time I started using integrations and API’s. A wonderful learning experience! At Yourhosting I also discovered Python and Django. A great language and framework! I learned a lot and have also made some small contributions to several open source project like DjangoCMS!